SharePoint 2013 Hosting – HostForLIFE.eu :: How to Create Result Source In SharePoint 2013 Search Using PowerShell? Write-Host "Result source does not exist. Creating." 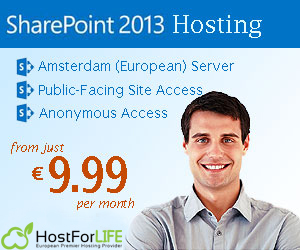 SharePoint 2013 Hosting – HostForLIFE.eu :: How to Arrange Choice Field’s CheckBoxes On SharePoint Forms? 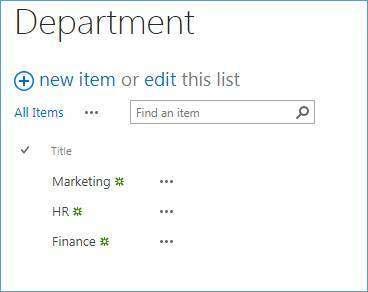 If a choice field in SharePoint is set to Check Box and the choice field values are in a large number, then the field values are arranged vertically. 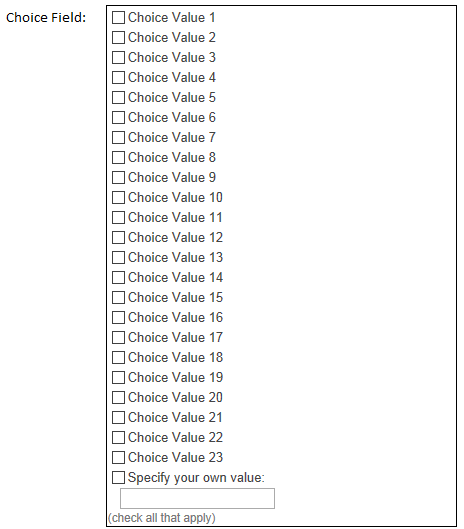 So, I have made an effort to arrange the checkboxes (choice values) horizontally. I am sharing this with a motif to save your time. In the below code, I have put everything into a function where I first find out the total number of choice values by picking the selector and crawling through the hierarchy of HTML tags to get “.ms-RadioText”. And then, get the total by using length. Then, decide on how many values you need in one row. The loops used in code are as shown below. The numbers 4 and 3 in outer and inner loops respectively state that 4 columns will be created or we can say 4 choice values will be put in each row created. You, then, loop through the full length of choice values and the iterations of this loop will take a jump of 4 counts as the number of columns I need is just 4. And in every iteration of the outer loop, I find the row in which the 4th + 1 choice value resides in by picking the choice value in the list and find the <tr></tr> in which it stands. The inner loop arranges the next 3 choice values i.e. the <td></td> in which it resides in the same row as the first choice value. Umbraco is a fully-featured open source content management system with the flexibility to run anything from small campaign or brochure sites right through to complex applications for Fortune 500’s and some of the largest media sites in the world. Umbraco is strongly supported by both an active and welcoming community of users around the world, and backed up by a rock-solid commercial organization providing professional support and tools. Umbraco can be used in its free, open-source format with the additional option of professional tools and support if required. Umbraco release that exemplifies our mission to continue to make Umbraco a bit simpler every day. The other change is that there’s now a “ValidatingRequest” event you can hook into. This event allows you to “massage” any of the requests to ImageProcessor to your own liking. So if you’d want to never allow any requests to change BackgroundColor, you can cancel that from the event. Similarly if you have a predefined set of crops that are allowed, you could make sure that no other crop sizes will be processed than those ones you have defined ahead of time.